What alternatives are there to bankruptcy? Everyone that comes into my office does not want to file bankruptcy; that is understandable. As a result, they are looking for alternative solutions to their problem. Although this is something I actively discuss with people, the solutions available can be limited, and depend upon your situation. Negotiate medical debt. There are many things that you can do to lower medical debt and work things out with the providers. Consult with a reputable debt consolidation company. There are a lot of companies out there that prey on people in debt, and you need to be careful who you work with. However, the good ones can be effective, depending upon your situation. The more overall debt you have, the more difficult it is to reach a monthly payment on all of it that you can afford, even with the interest rate lowered. Having multiple credit cards (more than 5) can complicate things, as everyone has to come to the table for a deal to work, and pleasing everyone can be more difficult the more people there are to please. Home Equity Loan. A debt consolidation loan that leverages the equity in your home can often be the best solution. It pays off all of the debt, replacing it with one monthly payment, at a lower interest rate, that is paid off at some fixed date in the future. However, with the bad real estate market out there, and so many people "upside down" on their homes, this may well not be an option. Short Sale. Although this is an alternative, it is not one I necessarily recommend. It is not always less detrimental to your credit score than a foreclosure and does not always result in the unpaid portion being forgiven. It should be considered very carefully. Unfortunately, for most people, these alternatives are not the best solution; bankruptcy is. But it can be difficult making this decision. If you need some help with this, then then download my free book, Am I In Too Deep? 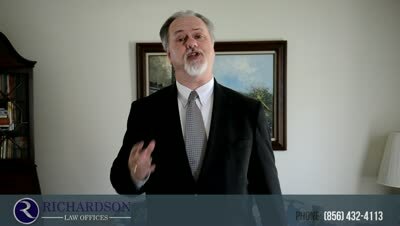 A Guide to Knowing When You Need to File Bankruptcy in New Jersey to find out if bankruptcy might be the right solution. If you have already looked into these alternatives and do not see them helping you, or you just want to see if bankruptcy is the right way to go, please feel free to call my office at 856-432-4113 or contact me through this site for a free consultation. ?What is a hardship discharge in a chapter 13 bankruptcy? ?Can I discharge NJ criminal and traffic court fines in bankruptcy?